The ScrumMaster is one of the critical roles that enables high-performing teams. 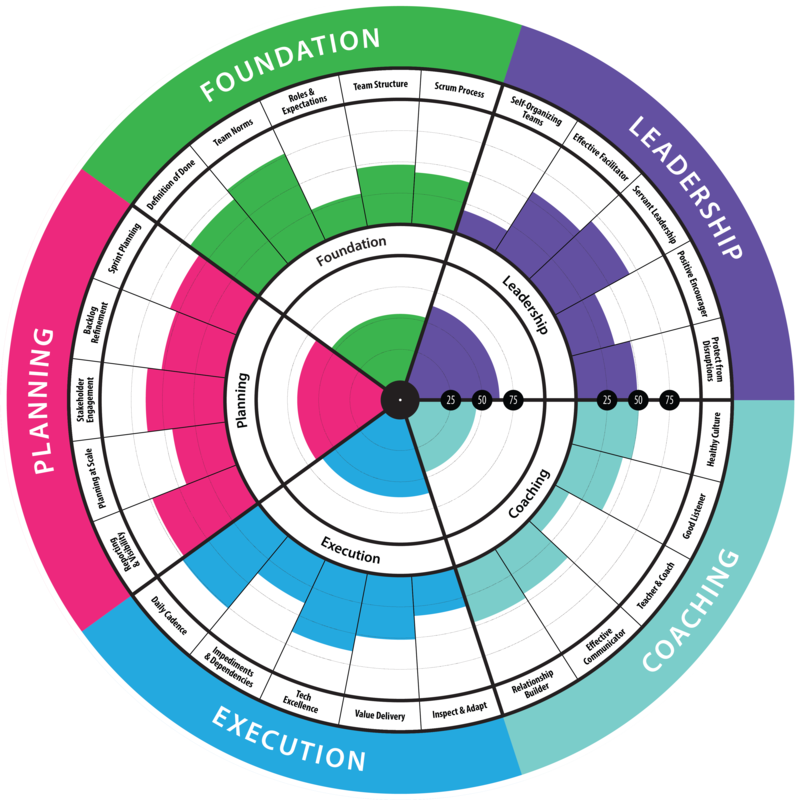 This assessment is an individual role-based survey that helps ScrumMasters gain insight to their job/skill performance by recognizing strengths as well as development areas, and align with Lean/Agile principles. Yes, you can customize the radar! ScrumMasters and their team members.